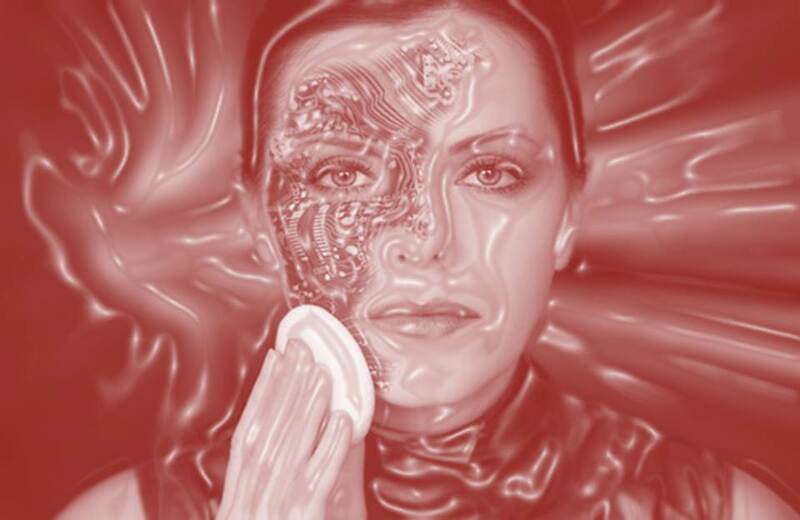 Pink Robots: An Ex-Mary Kay Consultant Shares Her Experience With Mary Kay’s Shady Tactics – F.A.C.E.S. I am thankful that I got out of MK. I do not regret it and am more and more thankful and free everyday. I’m about to send back the $1800 of inventory I still have left. I’m going to take full advantage of their 90% repurchasing option. Thanks to the wealth of information and knowledge, that I found on Pink Truth, I REALLY was able to make a decision based on “fact and not fiction.” Thanks to many of the dedicated ladies sharing their experiences and knowledge on Pink Truth. It takes courage to face the truth, but I’m so glad I did! There is even a board where loved ones can come and seek some guidance as to how to intervene and help a loved one who is deeply plagued by the obsessive compulsive roller coaster she’s been thrown on. Because, ladies, seriously, this indoctrination is done so professionally and smoothly that you don’t even see it coming. I had turned into a Compulsive Consultant! I didn’t even know it had a name until I read those words: “A Compulsive Consultant” is equal to “A Compulsive Gambler!” That’s the best way I can explain this crazy MK roller coaster ride. To this day, I still can not understand why I went along so easily with all the shady practices of Mary Kay. It was like I was under a spell or something. Until I found the anecdote to that spell on Pink Truth. The Truth helped me navigate through all the lies. I realized that what they truly teach is how to be a Master Manipulator. And a liar and a thief, because the products are WAY OVERPRICED! When I began, it was to supplement my income, but… somewhere along the line I lost myself! MK was all I could think about. If I didn’t make it to all of those rah, rah , same ‘ol, same ‘ol, theatrical meetings, I would feel SO guilty. It is set up that way. They like to say: “Miss one meeting, we’ ll assume your sick, miss two, your in the hospital, miss three, your DEAD!” or: “You gotta Show Up to Go Up!” No! You gotta show up to get brainwashed and stay brainwashed! I didn’t know at the time that those meetings that are disguised as training are really indoctrination time. Yeah, they train you all right! To be just like them! No individuality allowed! No questioning–just follow, follow, follow. They even say “do it the Mary Kay way or you won’ t succeed! (Sorry to break it to ya, but no matter which way you try to run this “business,” 99% WILL not succeed). They want you to become machines of repetition. Dress like your Director. Talk like your director (the scripts get passed out at the first “indoctrination session”). Look ladies, I’ve been there! And not too long ago. Now that I’m out it reminds me of some weird Sci~Fi movie called “I Robot”! That’s exactly what I had become–a Robot! Because that’s what they train us to do! From the day I started MK, I first was told what to wear. Skirts and dresses ONLY! I thought…What did I get myself into? Then, the director and recruiter pressing hard for me to purchase a minimum of $600-$1800 in Inventory. What? Nobody told me nothing about all that last night BEFORE I SIGNED THE AGREEMENT! Now that I realize the real deal, I felt very manipulated, used, abused, and excused. Because now that I’ve been out, and it’s going on 2 months. Nobody has even called me to see if I’m dead or alive (I guess they’ve assumed I’m dead, because I’ve missed more than three meetings). Once you realize the Truth, they really don’t want you near their unit. Informed Consultants can jeopardize their whole operation. I really do feel bad for all the woman still out there Compulsively Consulting. That’s what they’ve been manipulated to do. Don’t think for yourself, definitely don’t be negative! No matter how hard your struggling. They don’t want to hear it! No it’s not, but WHY DOESN’T ANYBODY WANT TO HEAR ABOUT MY STRUGGLE? Not about the million that I’m not making and NEVER WILL MAKE DOING MARY KAY! In all honesty, Mary Kay had become an Idol. You won’t be able to think of nothing else! Now that I’m out, I’m still in shock as to how that happened to me and why would I fall so hard, so quickly? I ate it all up, hook, line and sinker. They sure know how to paint a pretty picture and make it all sound SO EASY! Until you start to put all that “training” to use and see that you’re getting nowhere. But you don’t want to quit because you don’t want to feel like a big fat loser. I’m working on overcoming the embarrassment and shame for having been so gullible and falling for the whole scam. Mary Kay becomes an obsession, it will be all you think about, all you talk about! It WILL BE: Mary Kay 1st, 2nd, 3rd and last! There are no boundaries in MK! They teach us to overcome any obstacle, and overstep all boundaries to get to your money, as well as get any one who will listen, qualified or not, to become a consultant. We’ll teach you how to become obsessive and compulsive too! Mary Kay causes mental disorders and steals all your money, time and peace! It is Insanity. Constantly doing the same thing (that doesn’t work) over and over and over, and expecting it to produce a positive result. All Mary Kay produces is more and more debt. I’m going to let you in on a little secret, friends: Mary Kay could care less about what you sell! How does this make any sense? In MK it makes perfect sense! Well, thank God I realized it is nonsense and an exercise in futility. I mean come on. I was listening to Zig Ziglar tapes for goodness sake! I know what I’m talking about, Mary Kay became all I could think about! Please, heed my warning: “Stay far, far away from Mary Kay! Please, it ain’t worth it!